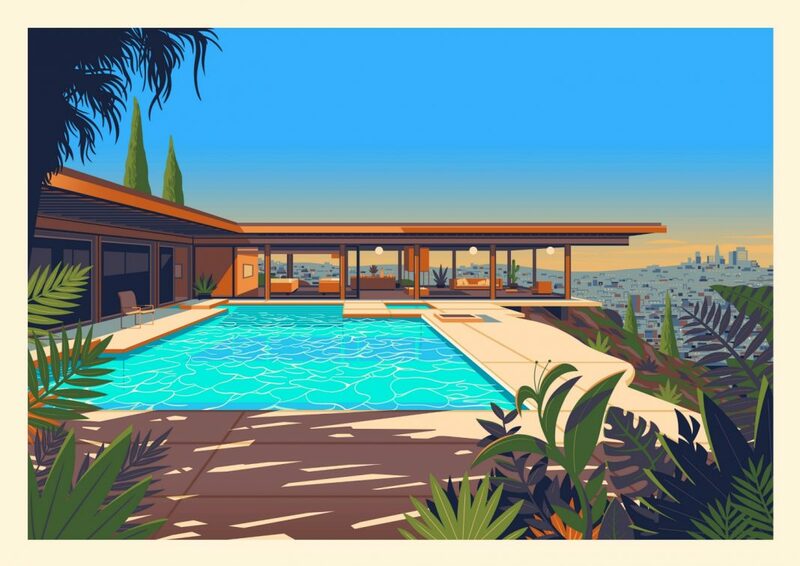 If there’s one thing you can never have enough of in life (besides, like, taiyaki ice cream), it’s gorgeous illustrations of iconic L.A. landmarks. And thanks be to Our Lady of the Angels or whoever, self-taught illustrator slash Americana obsessive George Townley (@george.townley) is working tirelessly to fill that void. His digital renditions of some of the more distinctive buildings in the city are showstoppers. His work includes Richard Neutra’s Lovell House, Parker Center (the LAPD’s soon-to-be demolished mid-century headquarters), the Griffith Observatory, the Sowden House, and Frank Lloyd Wright’s underappreciated Freedman House, to throw out a few. He now does his research primarily based on photos, sketching out the building then layering in his own stylistic flourishes as he improvises the details along the way. “It’s a dream of mine to visit again,” he says. Prints of his artwork will be available in his Etsy store in the near-ish future. Keep an eye out. Next articleWhat Was the First High-Rise Built in L.A.?